The average person consumes a whopping 7,000 calories over the course of Christmas Day and the average festive dinner contains anything up to a staggering 90g of fat. Packed with sugar and alcohol and greased with butter and cream, this desert is dangerously heavy. 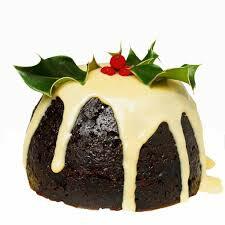 One serving of pudding contains about 360 calories, 15 grams of fat, and 30 grams of sugar. Combine dates, orange zest, apricots, vanilla, ground almonds, cinnamon, nutmeg and ginger in a food processor. Process until mixture is combined and looks like fine crumbs. Spoon mixture into a large bowl and add 1 – 2 tablespoons orange juice then mix again. Your pudding mix should come together in the hands when lightly squeezed. Divide puddings into 6 small puddings. The best way to do this is to line the base of your desired mould with glad wrap and press the pudding mixture into it firmly. Invert the pudding and remove the glad wrap. Repeat until all the puddings are formed. You can use goji berries, fresh cherries or anything you fancy over the tops of the puddings to garnish. Alternatively omit the topping if you wish. Store in the fridge for up to 2 weeks. Don’t let the name of this traditional dessert fool you, there’s nothing fruity or healthy about it. In fact, the amount of fruit that goes into this sweet is negligible and the fruit that is included is candied. Just one serving of a store-bought fruit cake contains 470 calories, over 17 grams of fat, and 55 grams of sugar. If that wasn’t enough to sway you from your beloved cake, know that it’s also packed with corn syrup, flour and shortening. Covered in a thick blanket of marzipan and fondant icing, it’s fun to decorate but a chore to finish it all. Of course selecting fresh fruit is the best option as a nutrient rich, lower calorie alternative. Full of butter/ margarine, sugar, and notoriously fatty ingredients, the only thing these international foods are giving this holiday season is the gift of girth. Researchers from the Queensland University of Technology in Brisbane, Australia found that to burn one mince pie, which contains about 368 calories and 25g fat a 75kg woman has to walk 6.2km. Stop! Do your maths before putting that Christmas mince pie in your mouth. Fresh, raw, unsalted nuts, such as walnuts, almonds, hazelnuts and pecans; high in Omega 3 essential fatty acid are the better choice. A trifles’ layers of airy pudding, fruit and cake can trick you into thinking you’re eating a lighter dessert. But certain ingredients—liqueur-soaked cake, sugary preserved fruits, sweetened condensed milk, brownies and cookies, or copious amounts of heavy cream—can spell trouble. Place a can of coconut milk in the fridge overnight. Whenever you are ready to make the berry trifle, open the can at the top, scoop out the cream in the bowl and discard the liquid on the bottom of the can. Add stevia, vanilla extract (optional) and whip the cream with a mixer on high for a couple minutes, scraping it off the sides of the bowl with spatula, until the coconut cream is fluffy. You can refrigerate the whipped cream covered for up to 3 days. When ready to use, just let it sit on a countertop for 10 minutes to warm up and give it a quick whip. 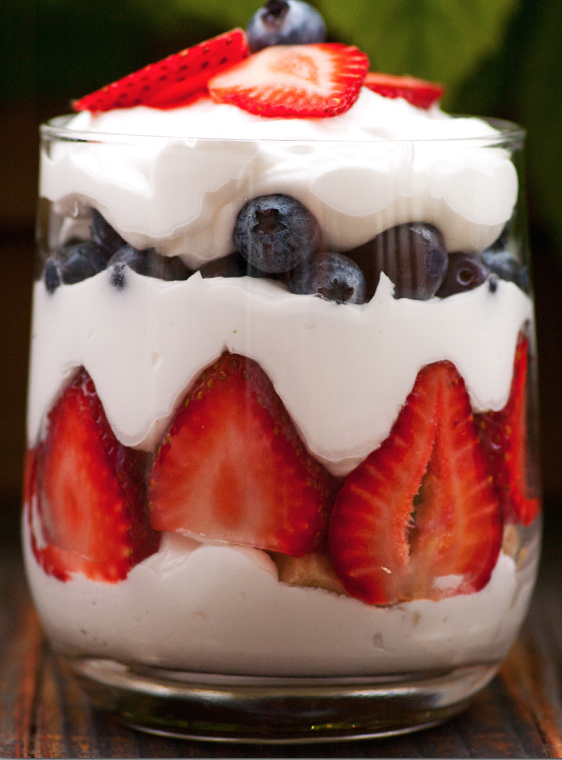 Assemble the trifles in individual glasses in the following order: 1-2 tablespoon of whipping cream, strawberries, whipped cream, blueberries, whipped cream. Garnish with berries on top. Use your creativity. That thick gooey monstrosity combining milk, cream, sugar, the thick protein of runny eggs with an alcoholic kick will have you singing carols until the early morning. Step…away…from the eggnog. 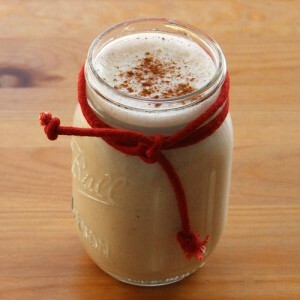 Eggnog can contain a whopping 450 calories per cup (and who stops at one cup?). In a high-speed blender, blend all ingredients until smooth and enjoy. 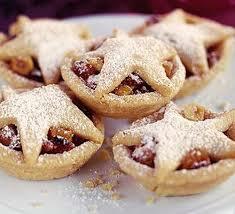 Christmas cookies can be loaded with calories, sugar, saturated fat, wheat, colourings, preservatives, etc. Best not to put your hand in the jar too many times! Try this easy, sugar -free alternative. 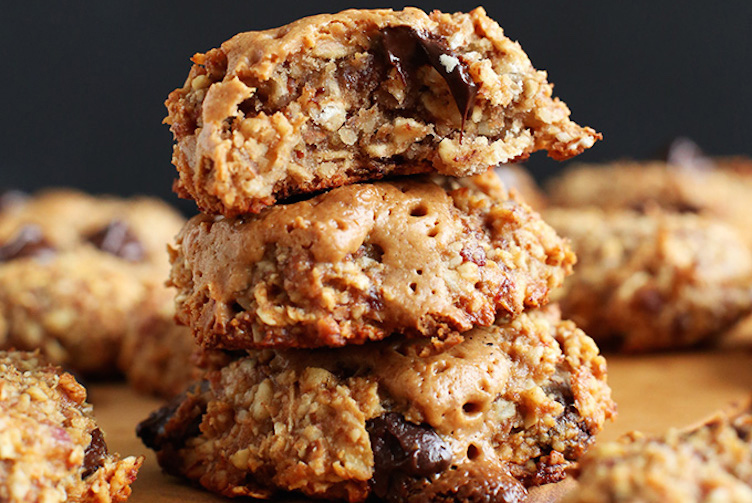 Place the oats and dates* in a food processor and mix until coarsely chopped. Add remaining ingredients and mix well. Turn mixture onto a bench and roll out to about 1/2cm thick. Use cookie cutters to form shapes. Place on a baking tray and cook for about 10 minutes until slightly golden. For many the turkey and its stuffing is the highlight of Christmas Day. A dish that consists mainly of bread, butter (or margarine), salt and in some cases sausages. A cup of your average bread stuffing will set you back 175 calories. Add in sausage, and you’re staring down the barrel of 400 calories per cup side dish and a weeks worth of regret. On top of that you get the risks of food poisoning from cooking the stuffing inside the turkey or failing to defrost a frozen bird properly. Stuffing goes into the middle of the bird and is extremely porous. That means that as the turkey around it cooks, juices that may contain salmonella bacteria soak into the stuffing. Cooking your stuffing separately, outside the turkey is the safest and best way to go. Choose gluten free breadcrumbs with your regular stuffing recipe. Any variety of rice works well as a stuffing, wild rice or brown rice. 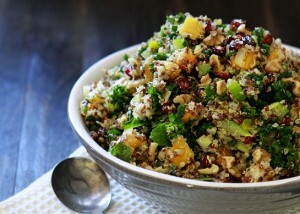 Quinoa is another tasty alternative to stuffing and is also a complete vegetarian protein. I’m not sure why there is a reference to fat: “a staggering 90g of fat”. That aligns to the diet heart hypothesis/food pyramid view that fat is the cause of modern diseases, when this has been shown to be wrong, and in fact it’s carbs that are the root cause, particularly refined sugar. I think you should edit the article and instead refer to the amount of sugar consumed. Innocuous comments like these only serve to reinforce the myth that fat is bad, and is disappointing from Emed. 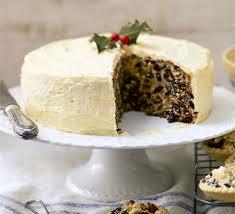 Unfortunately, the traditional christmas foods listed in our article are not providing the beneficial fats (e.g. coconut oil, olive oil, fish oil, nut oils, etc), but are high in the “bad” fats (hydrogenated oils/transfats, rancid oils, etc) that increase inflammation in the body and the risk of disease, such as cardiovascular, arthritis, cancer, and other disease. We also talk about the high sugar content in the article. The article does give the impression that butter and cream is bad though – which it is most definitely not! Unless a person consumes vast quantities of course.